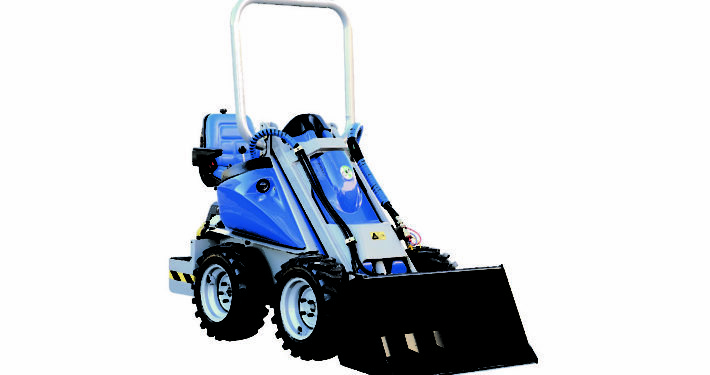 The S25D ( 20Hp Yanmar diesel) has a 3 pump circuit with hiflow system and HST pump for transmission. 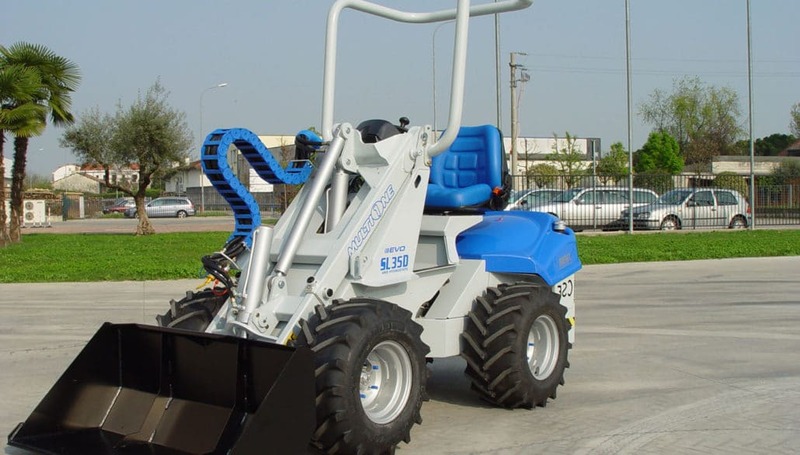 MultiOne get the first telescopic boom (double H frame type) with replaceable sliding pads. 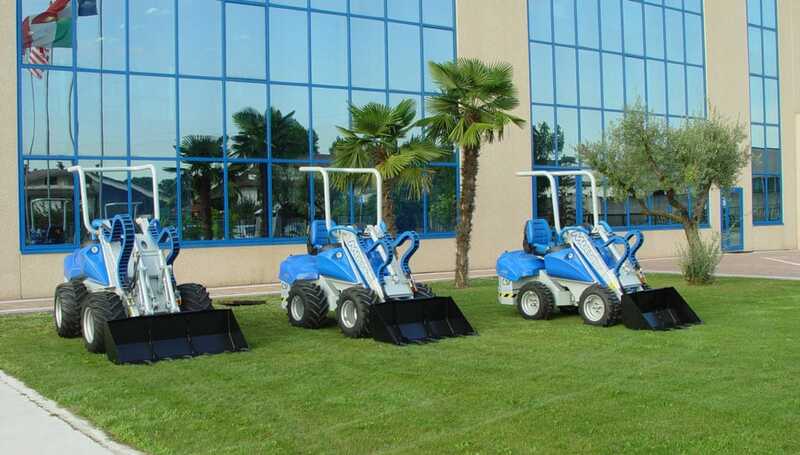 The S range has models with 14Hp diesel and a 13 hp petrol also. 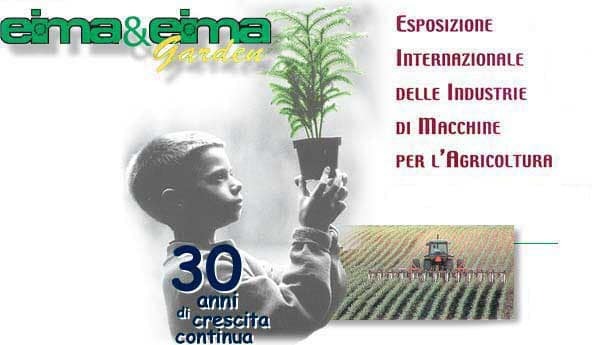 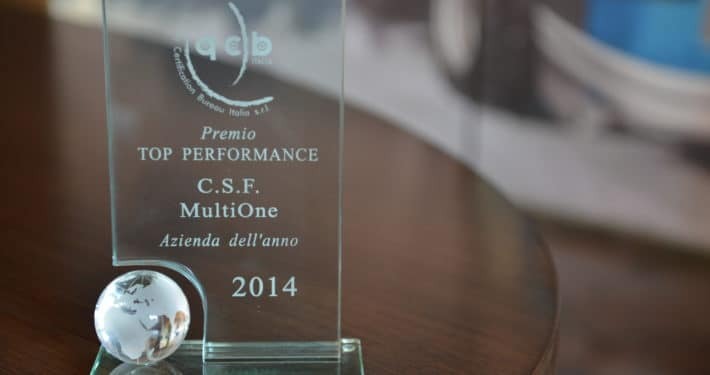 MultiOne is awarded with 1st price at EIMA show (the largest AG and Landscape show in Europe) for the “Best Design and Multifunctional concept”. 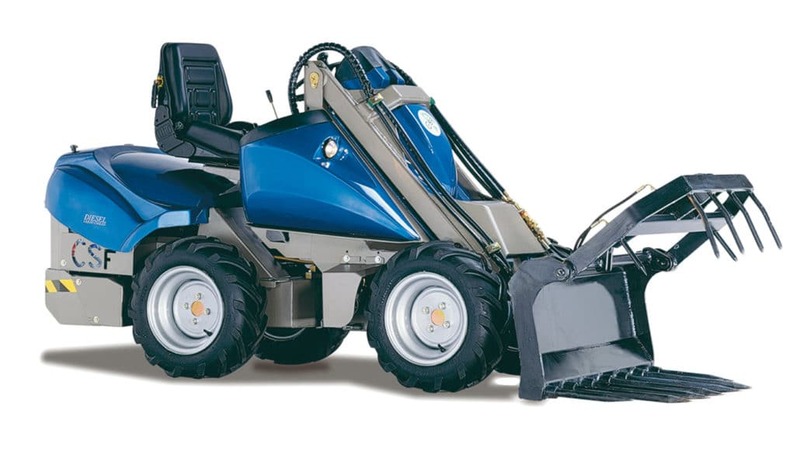 By the 1999 the SL series was introduced: direct drive wheel motors and 30 Hp Yanmar engine into a larger frame to maximize lifting capacity, power output and multiple attachments capability. 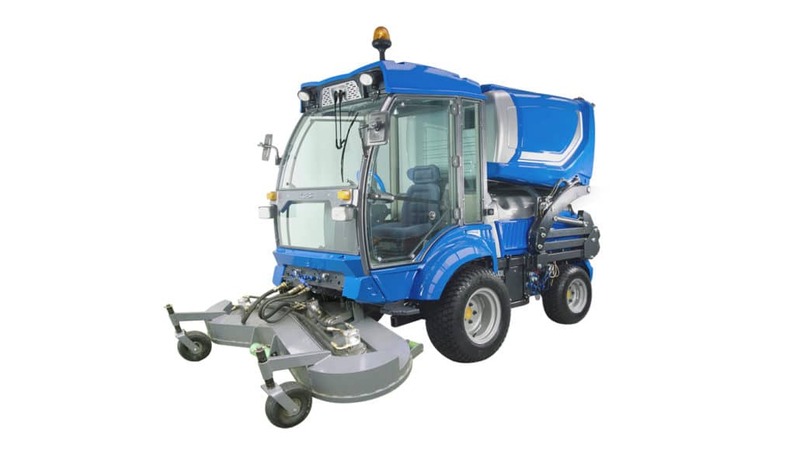 All models have servo controlled transmission pumps and all models are turned into Direct Drive wheel motor. 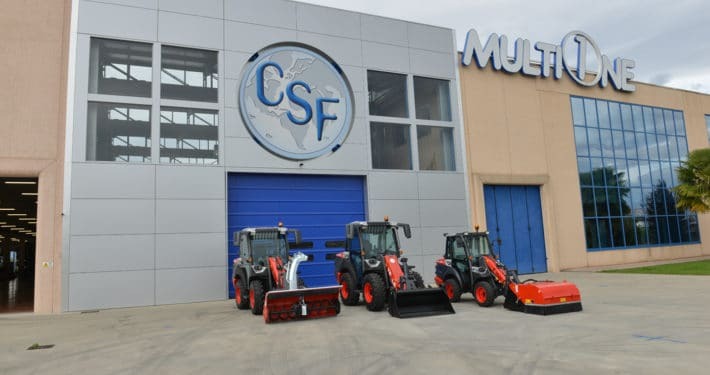 At this time MultiOne range counts 6 models. 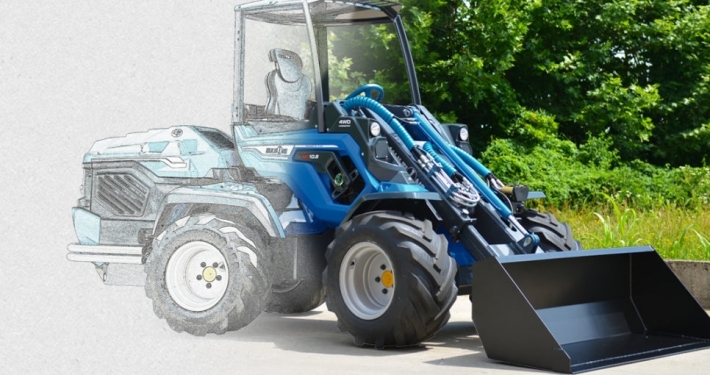 Multione is the first mini loader range from 0 to 50 Hp and mass up to 1800 Kg. 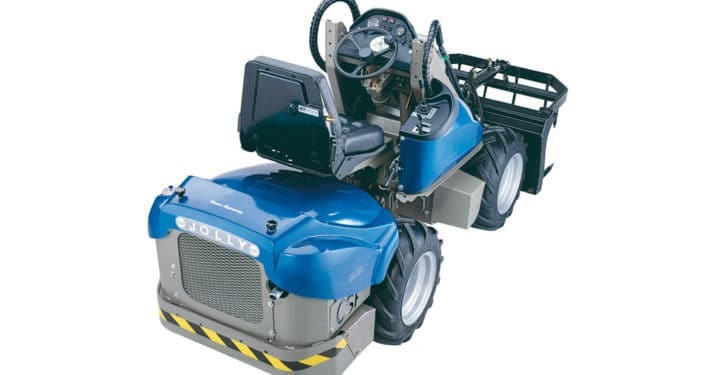 In 2000, the GT Series is introduced, powered by Yanmar 50 hp engine. 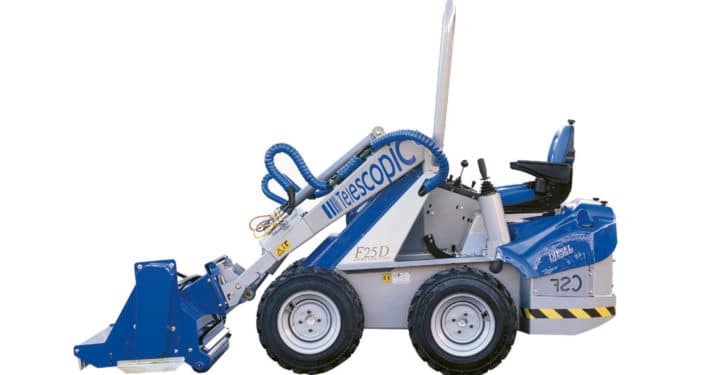 A heavier and stronger frame with telescopic boom with 3,65 m top reach, 3 pumps system and Poclain Radial Piston wheel motors. 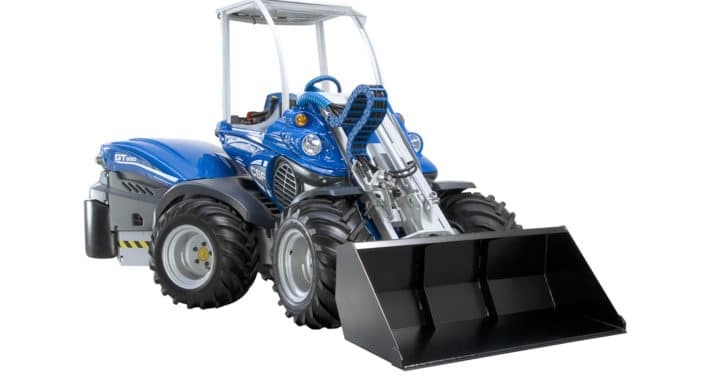 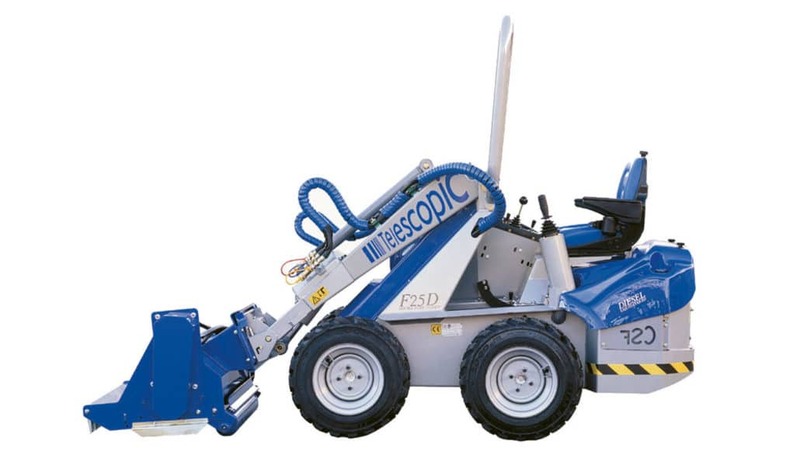 It features a Patented Swing Lock System on the articulation which combines both benefits of rigid and oscillating articulation, controlled by the driver with flip of a switch . 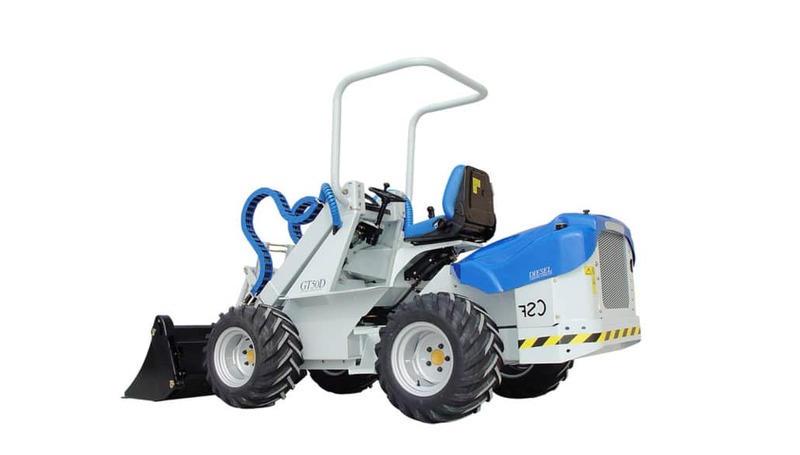 The GT50 has an Electronic control pump for aux output, able to deliver 84 lt/min at 370 bar, for attachments. 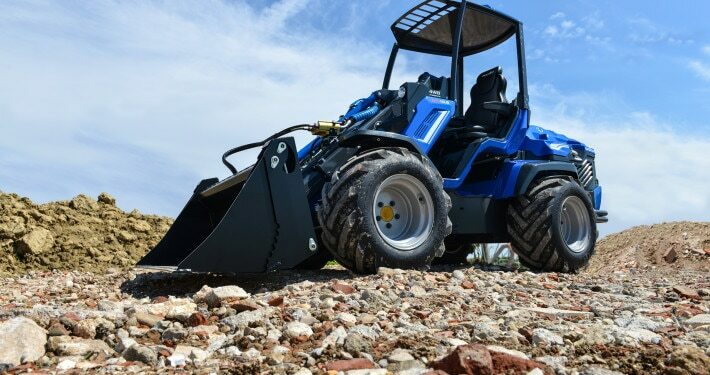 Top speed of 22 km/h , it sets new criteria for mini loader bringing performances into new level. 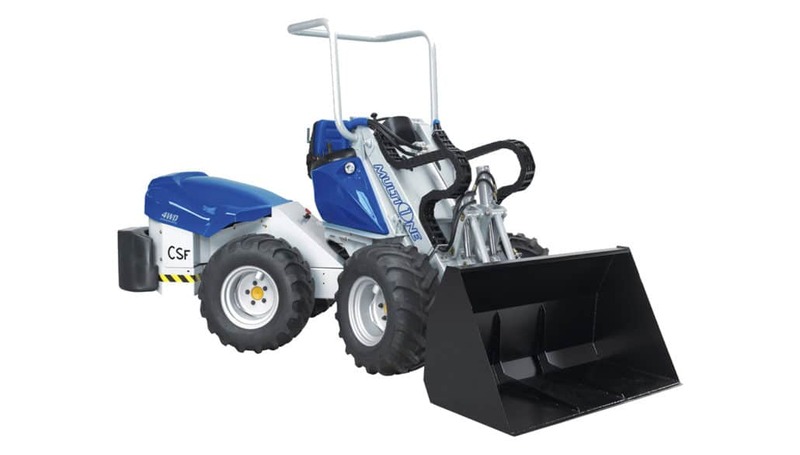 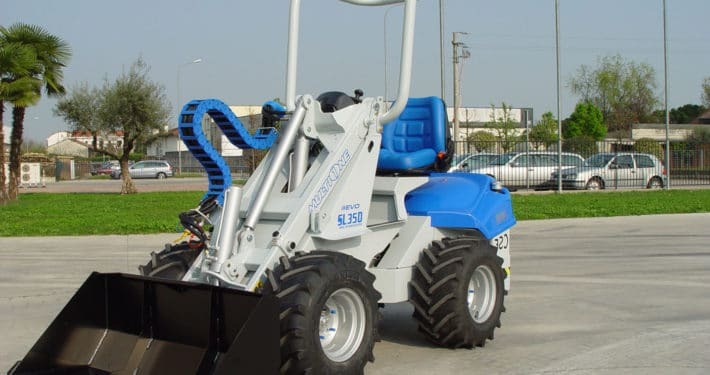 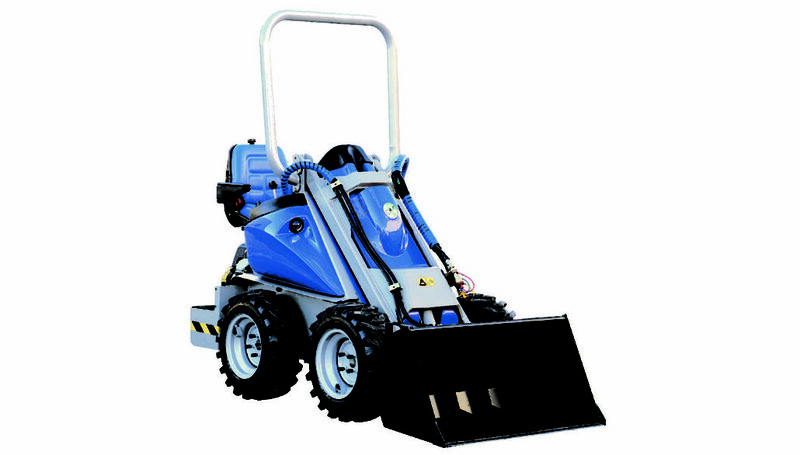 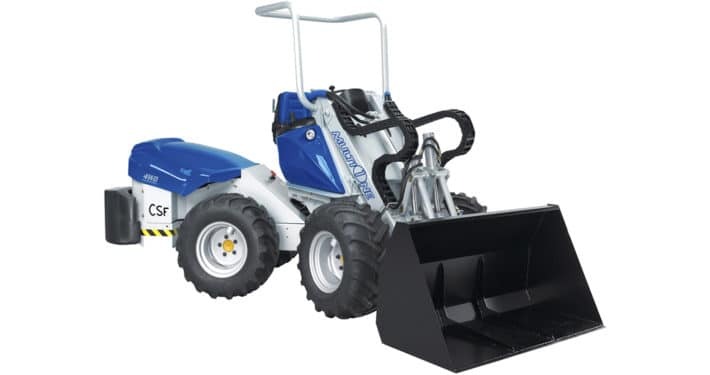 In 2001 a skid steer machine type is added to the range, named F series. 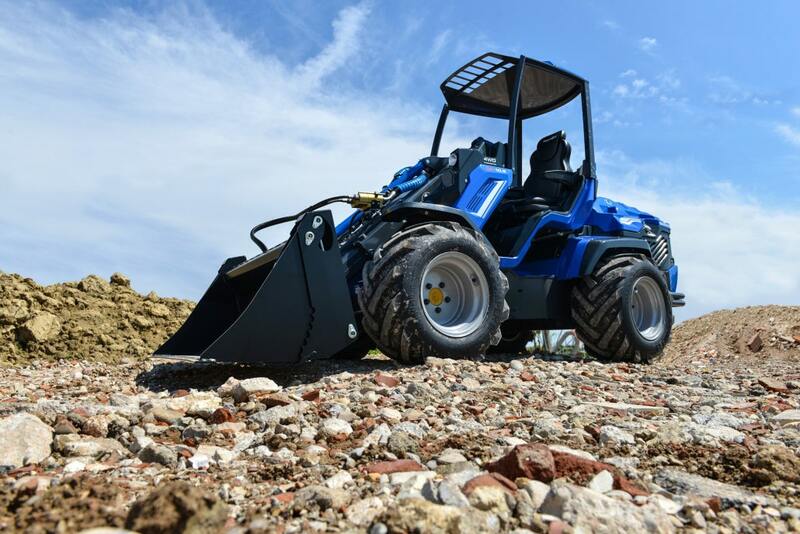 By 2 servo controlled joysticks and engines of 13 and 18 Hp petrol and 20 hp Diesel, makes MultiOne a skid steer-type smart machine, with telescopic boom and a wide range of attachments. 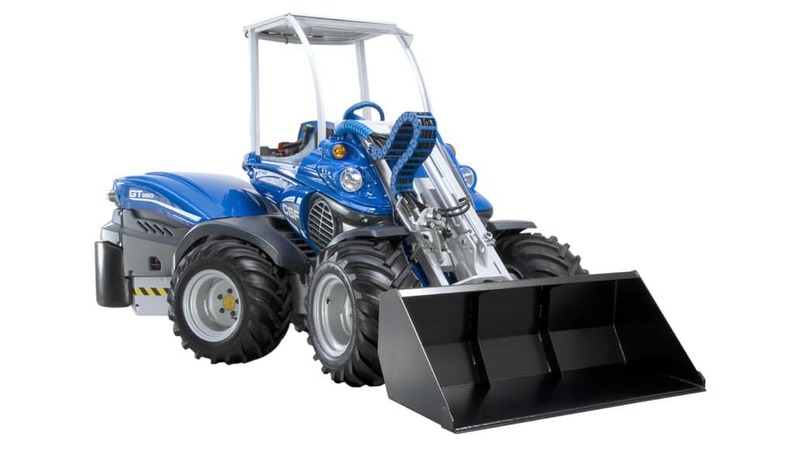 By this time, MultiOne is the widest mini loader range, with 11 different models and power range from 13 to 50 Hp. 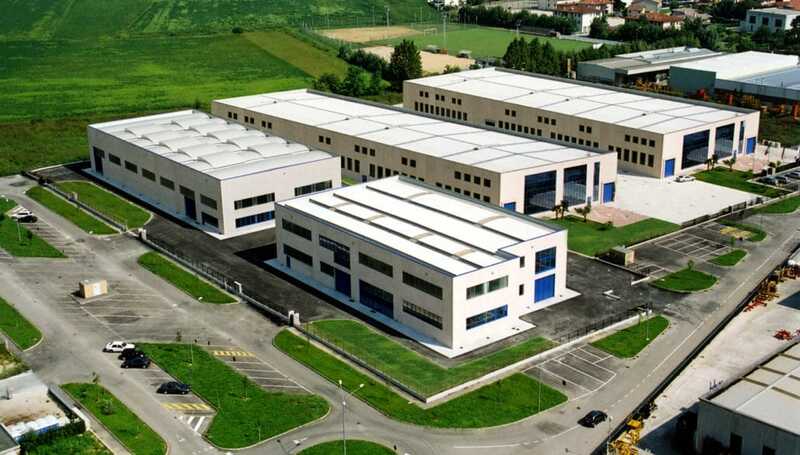 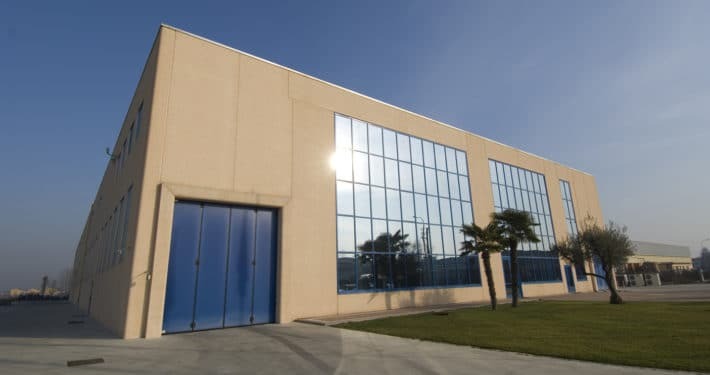 The first 8.000 sqm building located on Grumolo delle Abbadesse, Veneto region, Italy. 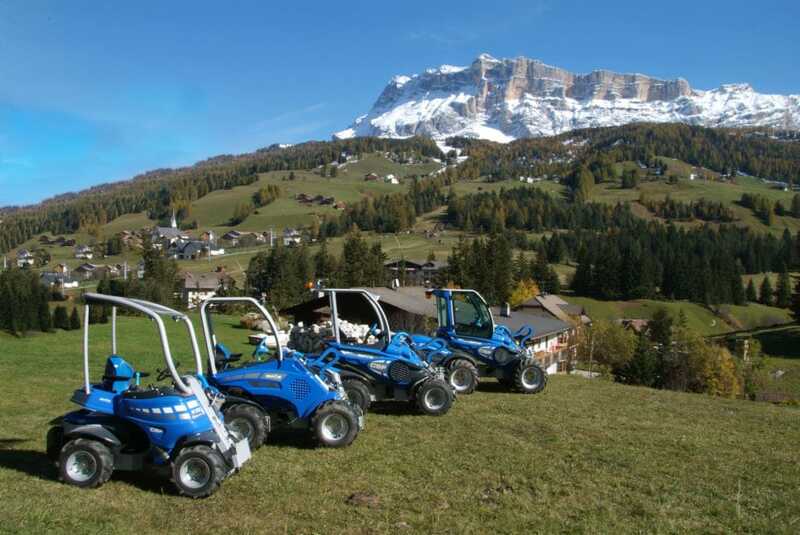 The entire MultiOne range receives some upgrades to a new frame, new telescopic boom and minor improvements of the hydraulic circuit. 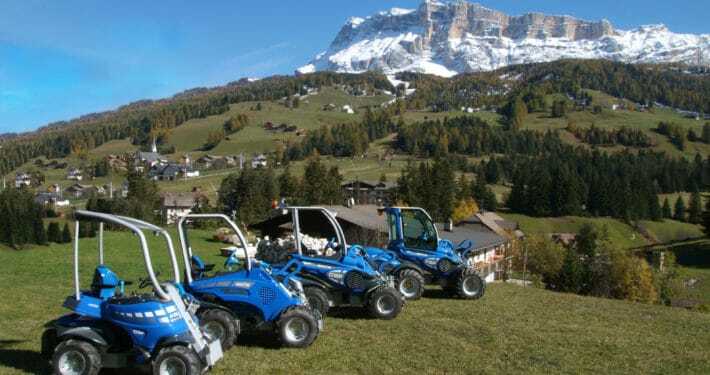 The range is named “Evolution”. 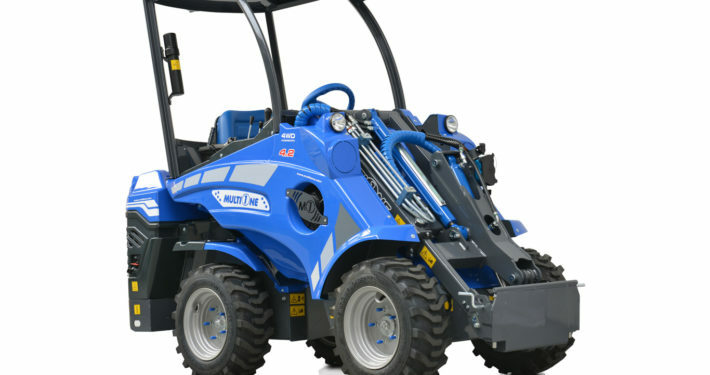 It includes 2 new model powered by Daihatsu / B&S diesel engines, 32 and 40 hp Turbo. 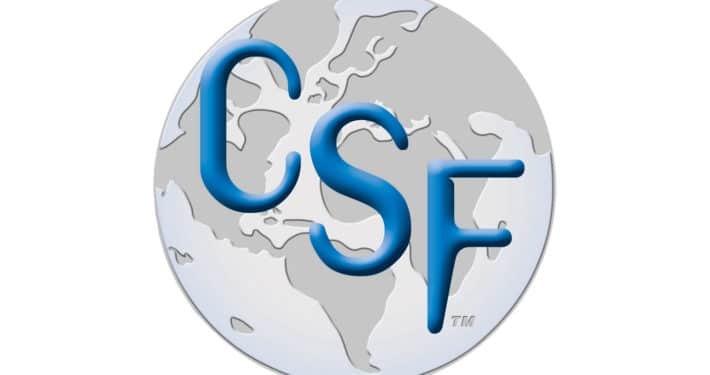 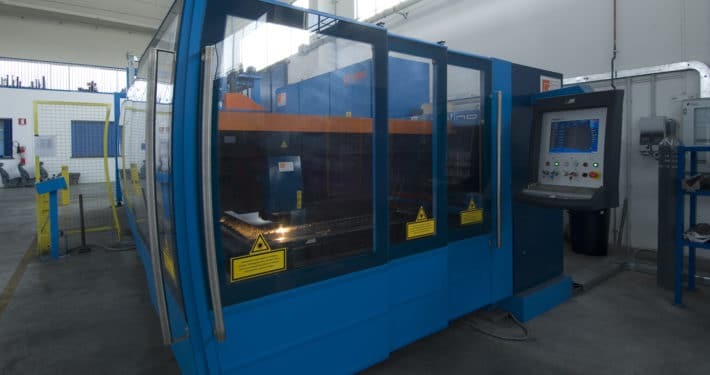 Own frame manufacturing plant, laser cutting, bending machines and robot welding stations. 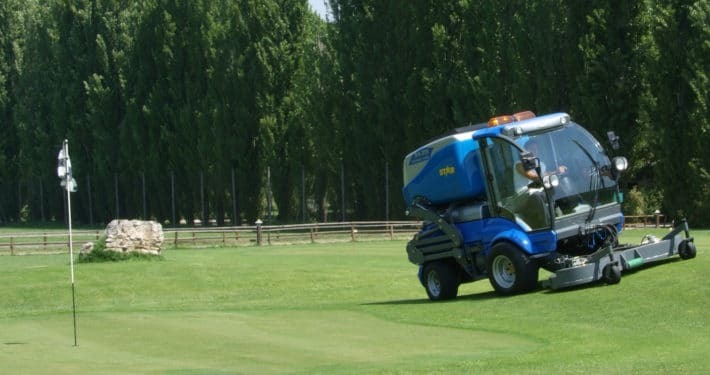 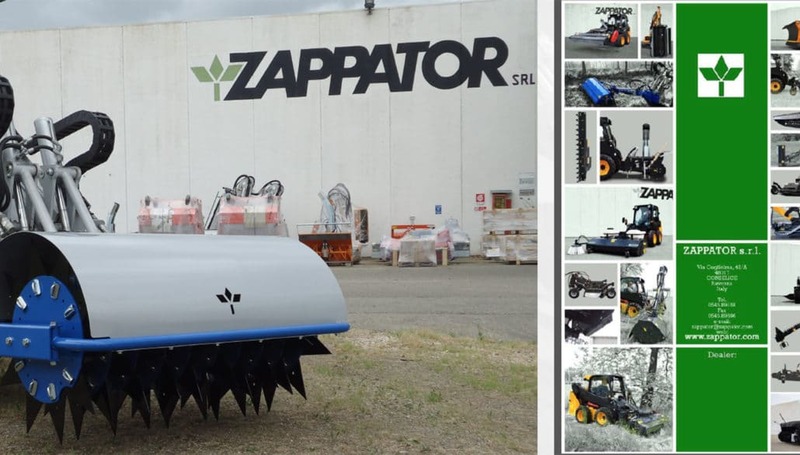 The STAR, a Wide Area Mower is introduced to cover a niche market in Central Europe, due to request of main city Municipalities. 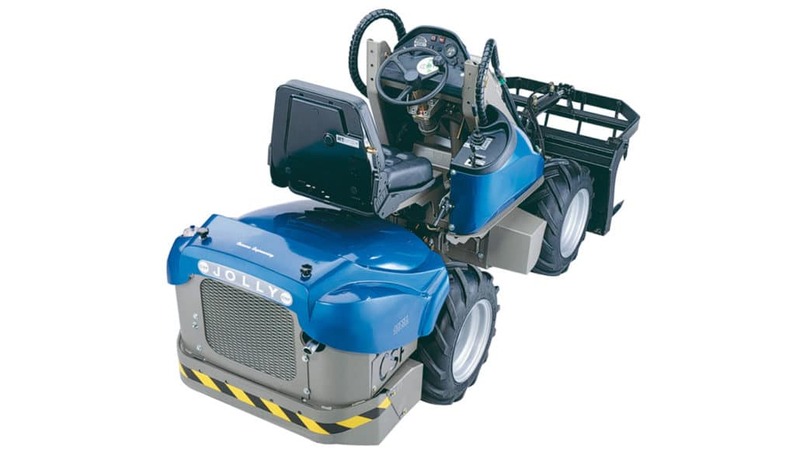 It is a cut & collect 2,1 m wide deck powered by 72 hp Yanmar 4 cylinders. 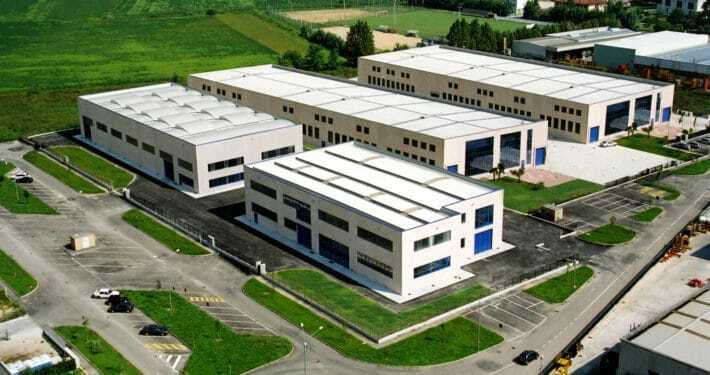 Second building for MultiOne assembly lines. 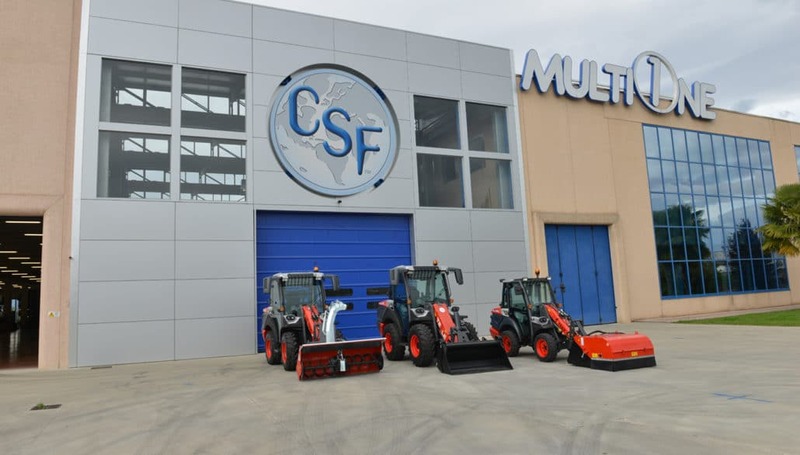 4 new generations MultiOne are brought into the market setting a new benchmark for mini loaders: spacious cabin, good living capacity and a completely new control system with enhanced ergonomics; from the tiny M23B to the”big boy” GT950, able to bring 1,5Ton pallets up to 3 m high, still unique in this class. 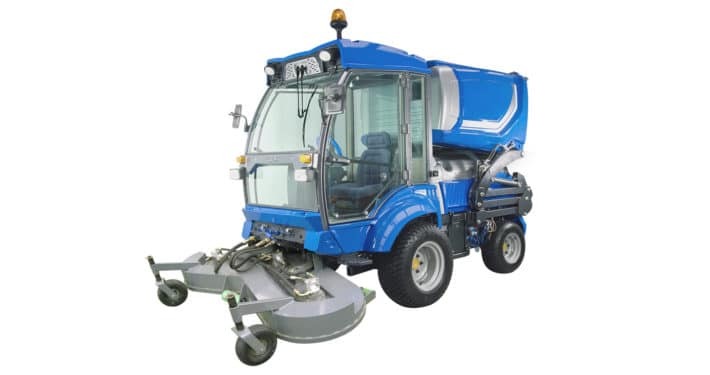 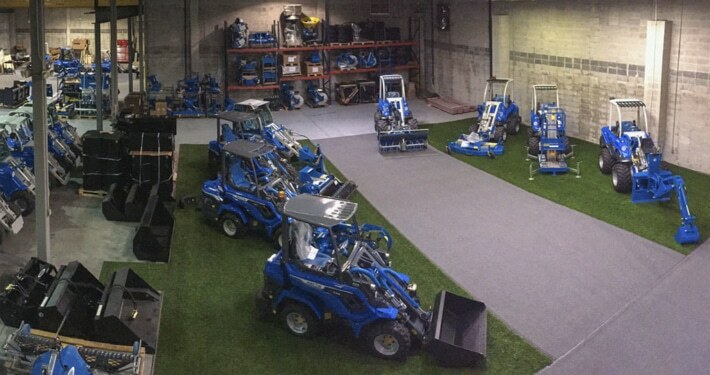 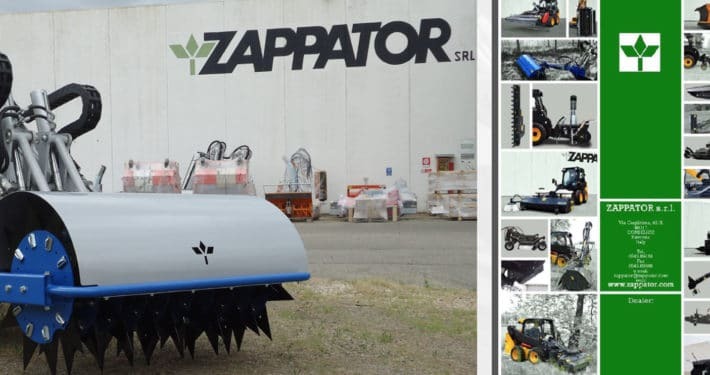 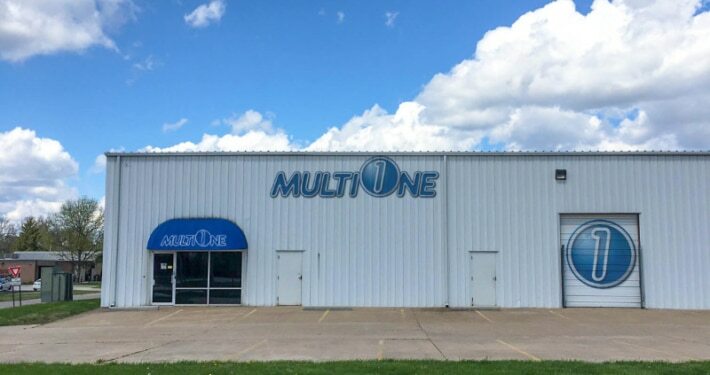 MultiOne busy Zappator company, which is a supplier of many attachments for ground care, green care, industrial since 1965. 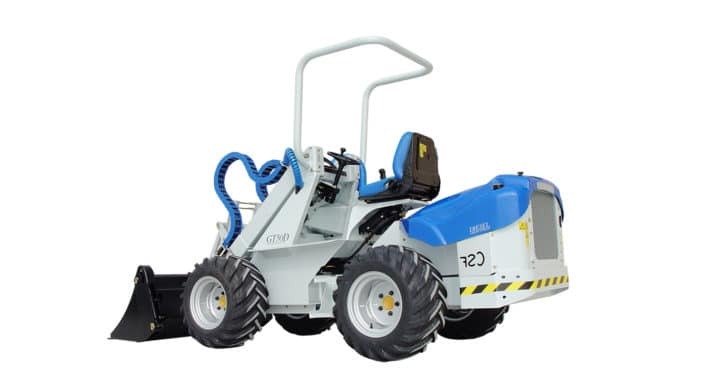 Qtrak, a 4 wheel steering product, is added to the range for the industrial and construction customers. 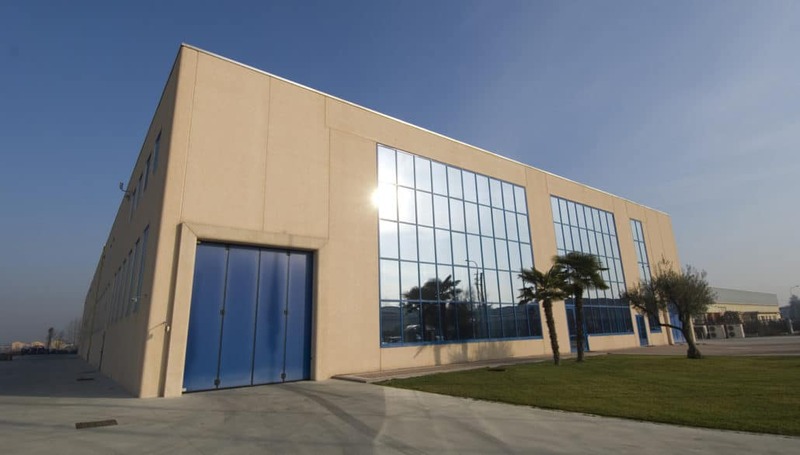 An additional area is built between the 2 main buildings, as loading/unloading area. 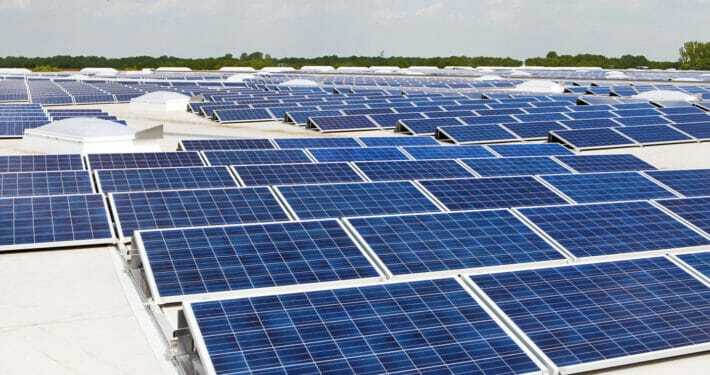 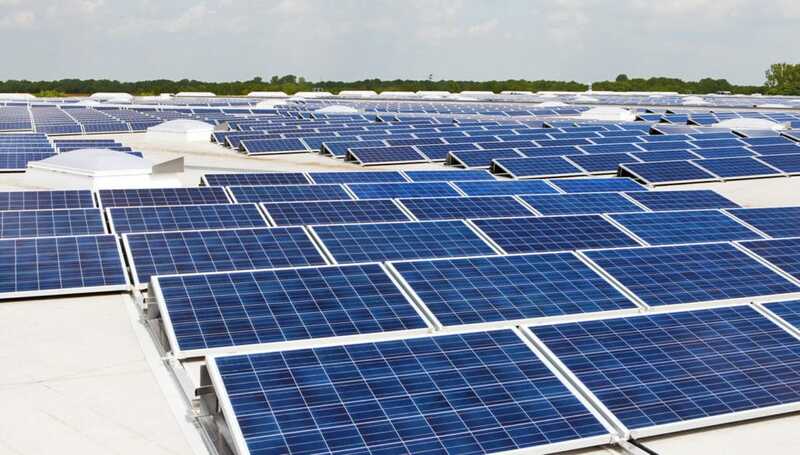 A 550 Kw/h solar cell plant is located on the buildings roofs. 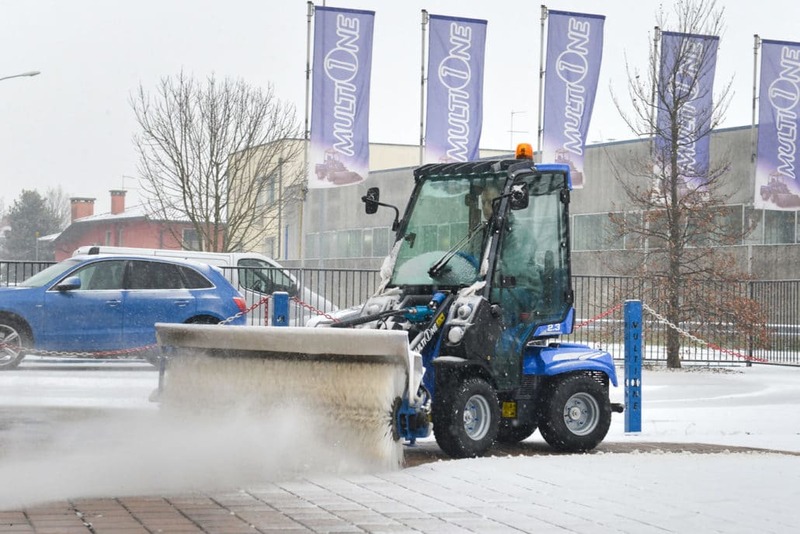 A step ahead bring MultiOne to unique level of quality, performance and reliability; the range is extended upwards to 78 hp, the 10 series, with lift capacity of 2,5 Ton and speed way over 32 km/h. 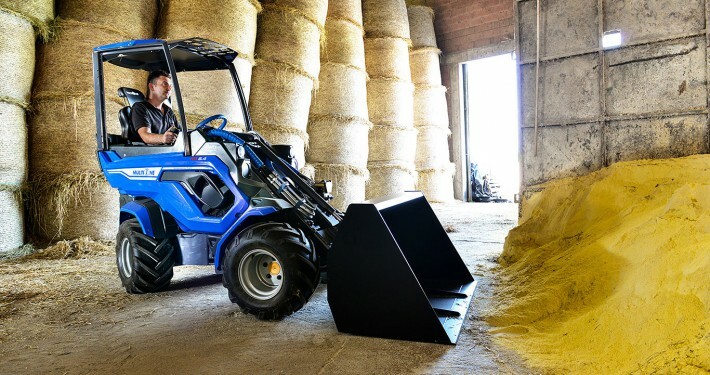 Best in class cabin and easy controls, combined with a superior driver comfort, MultiOne sets new references for mini loaders. 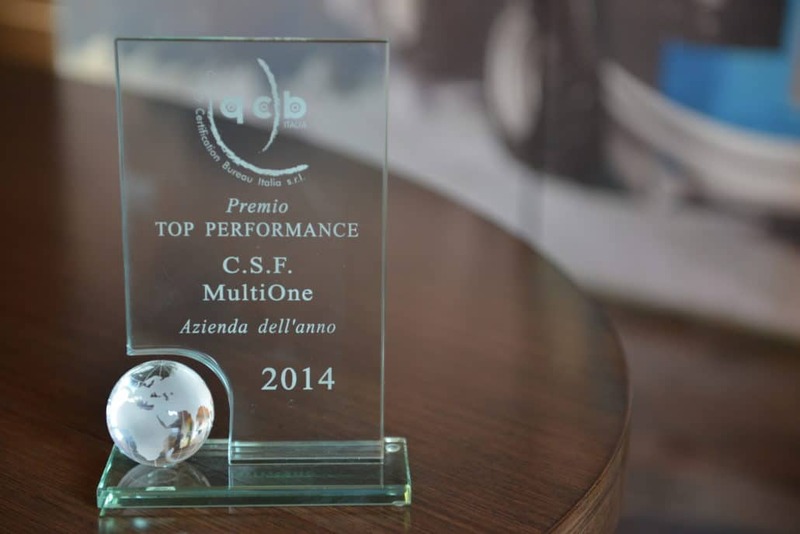 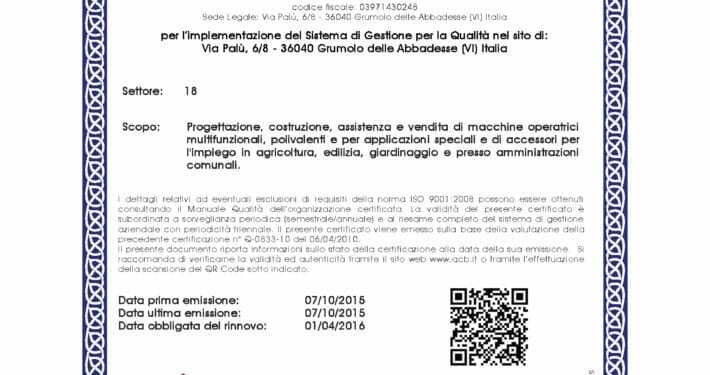 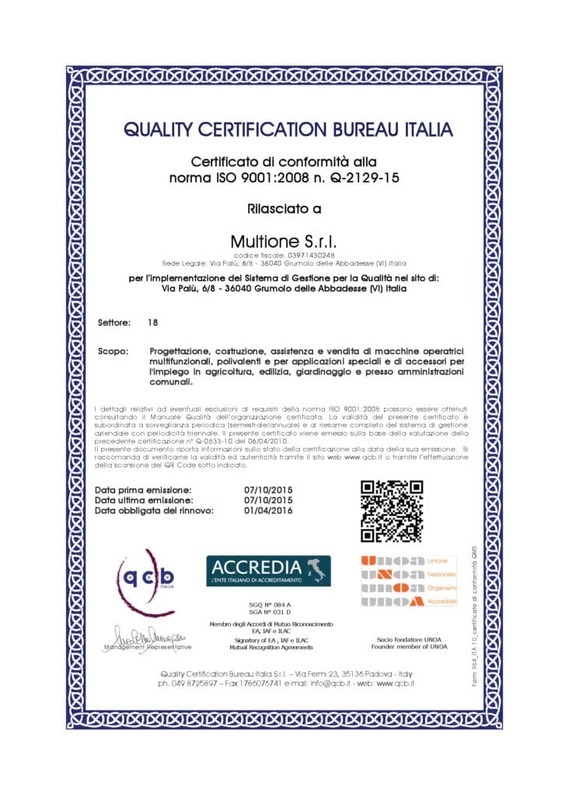 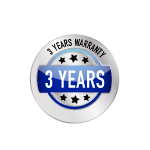 Since 2009 MultiOne is ISO9001 certified company, in 2014 MultiOne is awarded as “Top Performer” for quality controls and enhanced implementation of the production process. 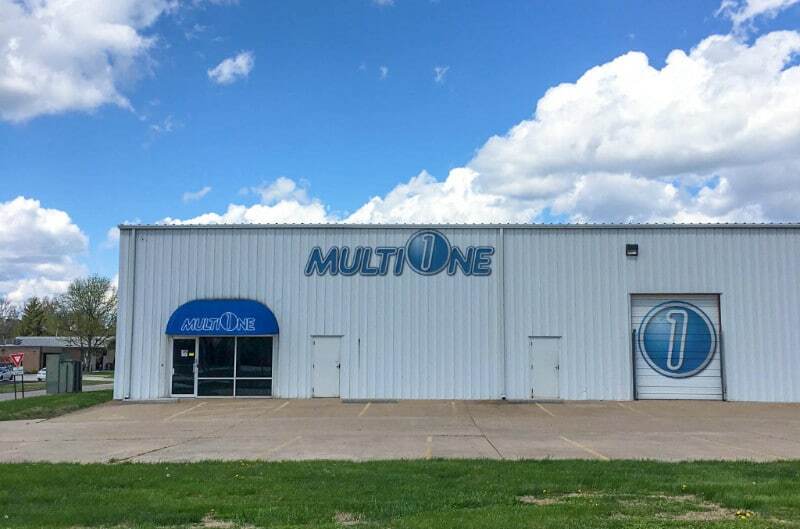 The US branch of MultiOne opens in Springfield, Missouri. 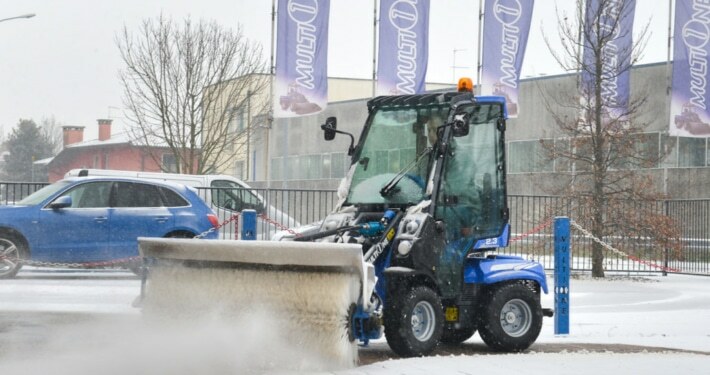 New names, new design, better performance for the smallest machines of MultiOne range. 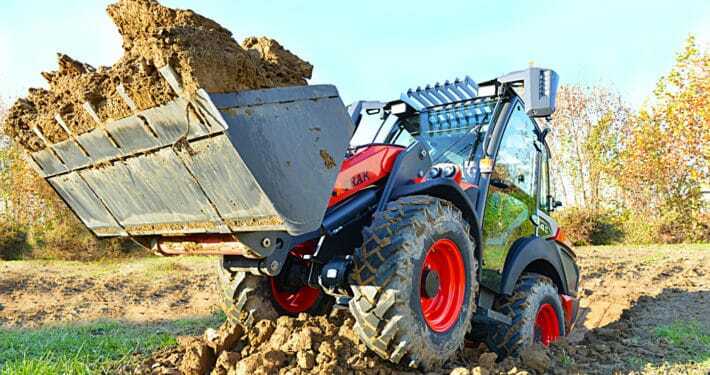 1.1 comes from the M14, with a new hydraulic steering system for an even easier and safer drive system. 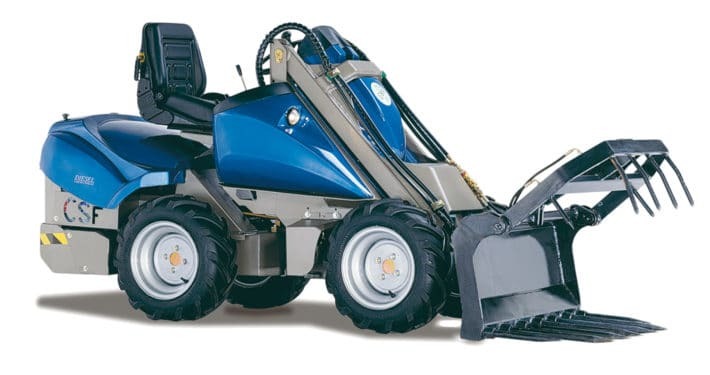 2.3 is the new MZ, with a new mechanic system on the boom and wider driver area for maximum comfort. 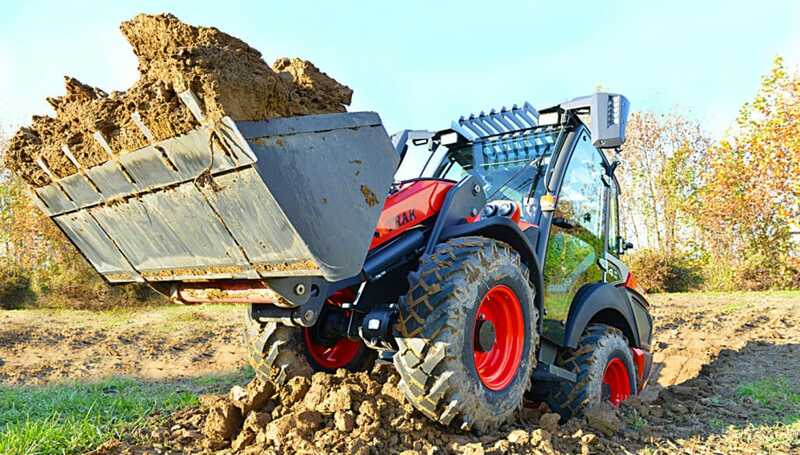 5 series is the evolution of S500-S600: the right choice for anyone who needs boom outreach coupled with great agility in narrow spaces. 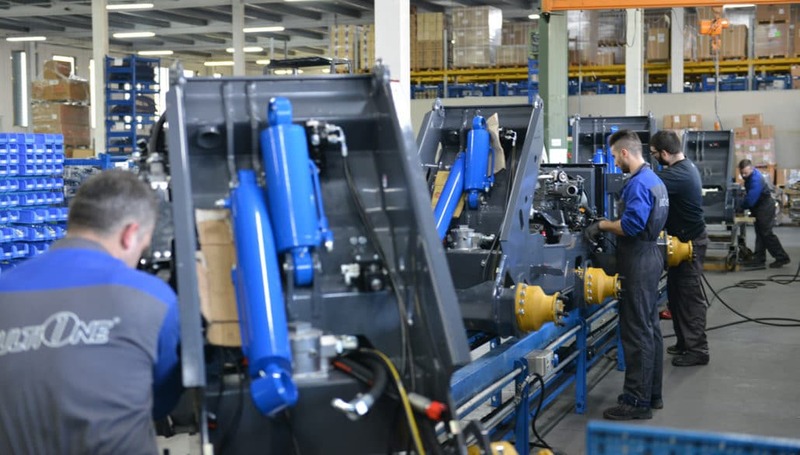 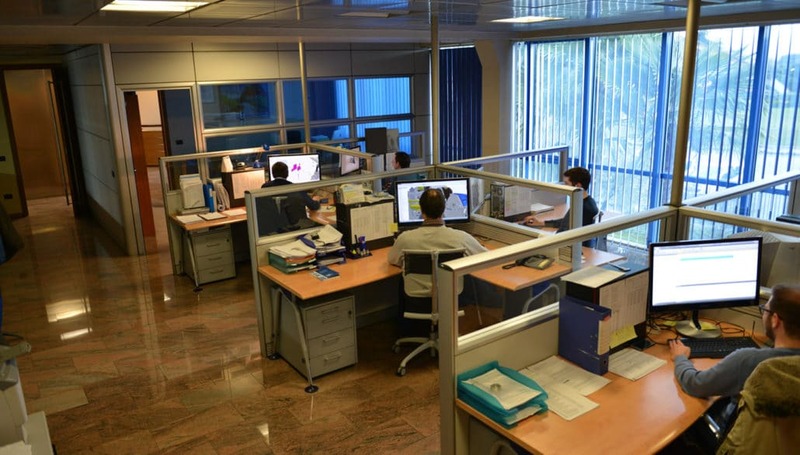 We have improved our manufacturing plant with a high level of automation, to increase productivity and ensure our products reliability and high quality level. 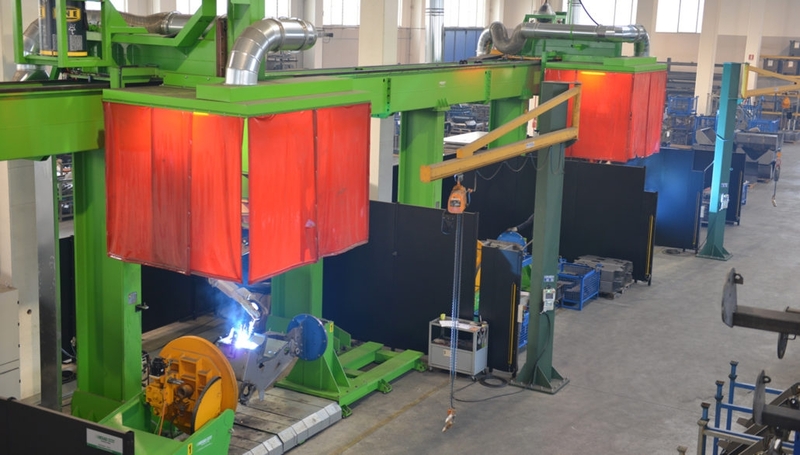 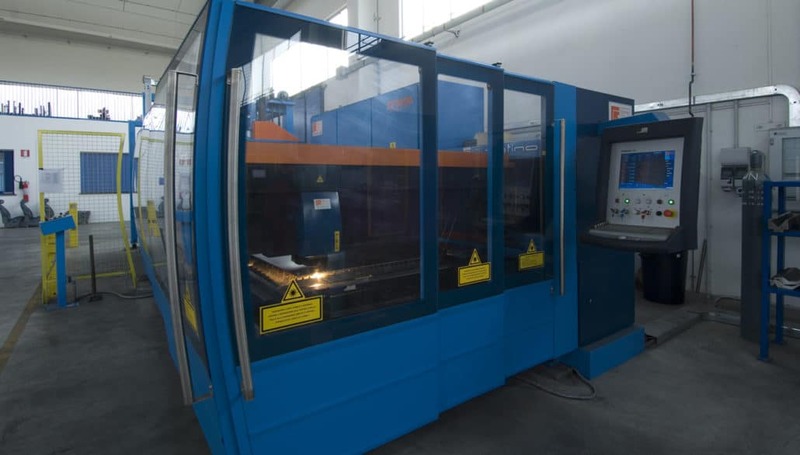 Modern cutting line (3 laser machines) and robot welding stations. 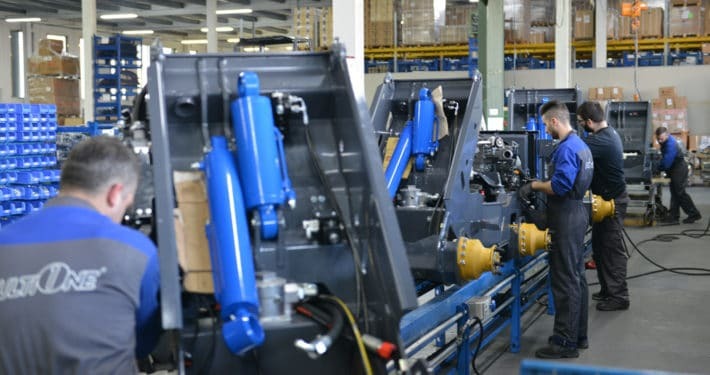 Multione frames are painted in the semi-automatic powder coating plant before the assembly line.